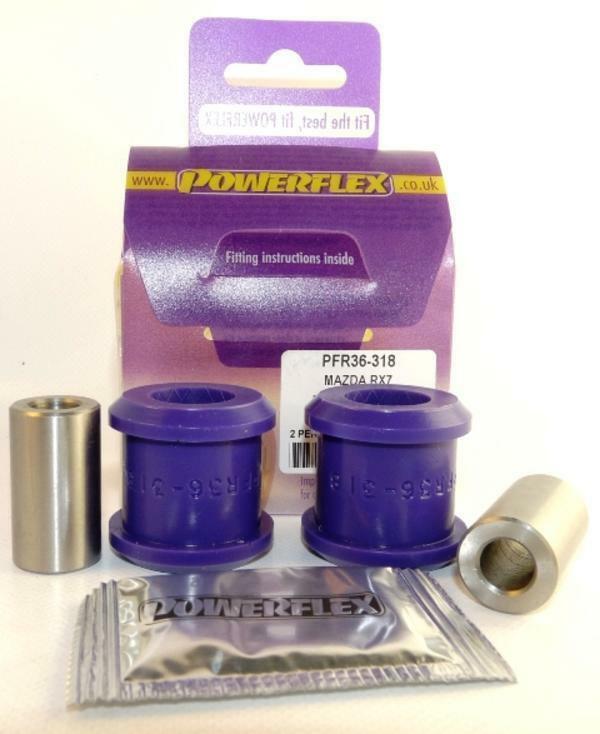 Poweflex rear toe adjuster bushings MAZDA - MiataRoadster - Stay tuned with MiataRoadster! Poweflex rear toe adjuster bushings are made using a proprietary urethane material, which unlike many common “urethanes” in the market, overcome the common noise and harshness problems associated with harder bushings. By correctly engineering the polyurethane compound, bushings can be made 25-30% stiffer than new rubber items with the same noise absorbing properties.